Cure4CF Foundation is excited to announce the appointment of Jessica Buckley as Donor Development Manager. Jessica commenced on January 4th. Jessica is an experienced fundraiser, having worked for over 9 years’ in the not-for-profit industry in both Australia and the UK. She has also worked for PriceWaterhouseCoopers, LLP and the University of Adelaide in finance and support services roles. Specialising in database management, data analysis and donor engagement, Jessica possesses a strong analytical mind and is solutions focused. Jessica recently worked at the Women’s and Children’s Hospital Foundation and was responsible for managing their Regular Giving program. 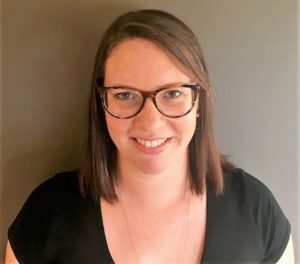 In her new role of Donor Development Manager, Jessica is responsible for developing and implementing strategies to build the Foundation’s fundraising capacity by increasing revenue including community-based donations. She will also be responsible for the management of the CURE 4 Cystic Fibrosis database. Jessica is excited to join the fight to help find a cure for Cystic Fibrosis, a cause close to her heart having grown up with a friend who has Cystic Fibrosis and seeing the effects it has on individuals and their families.